Pain, no matter where it is in your body, can be debilitating and have a huge impact on the quality of your life. When you have any kind of chronic pain, you want to find the source of the pain and not just mask it with medications that wear off after a few hours. In order to prevent pain from occurring, you need to understand what is causing it. Treating the cause of the pain will not only allow for prolonged relief but potentially a cure for the pain. Back pain is no different. 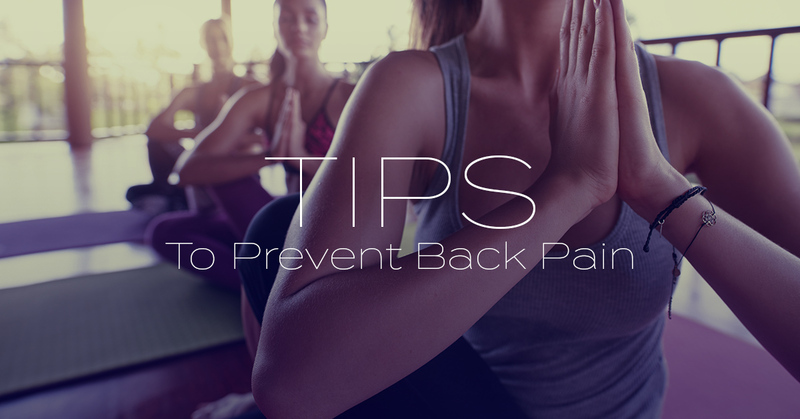 There are many causes for back pain and by knowing what causes it, you can prevent the pain from coming back. If you need wellness care and advice on how to relieve back pain, contact Divine Spine and read through these causes of back pain. It seems that diet and exercise are the answers for a lot of illnesses, and it’s the same for back pain. Diet, along with weight management, will ease your back pain. A diet of fatty foods and high calories can lead to being overweight which can then lead to back problems and joint pain. Diet won’t heal your back pain by itself, though; exercise will help build muscle strength in order to support your back. Bone and muscle go hand in hand. Bones in your body need the help of strong muscles in order to work together to keep everything in place and prevent pain. It’s common knowledge now that being hunched over at a desk all day can cause back and shoulder pain. Here are some tips on how to sit in a proper position if you have a type of job where you are constantly sitting down. Feet should be placed flat on the floor and your knees should be bent at a 90-degree angle. If you have short legs, use a step to place your feet on and adjust the height of your chair. Your lower back should be supported by the chair. If you cannot keep your back straight, use a thin pillow placed between your lower back and the chair. Try to keep your shoulders relaxed and your elbows bent at a 90-degree angle. 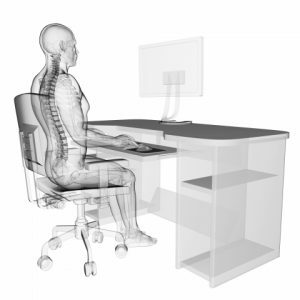 When sitting up straight, your eyesight should be perpendicular to your monitor. Whether you’re sitting in a chair all day, or driving in a car, sitting on an airplane, or in a movie theater, the longer you are you in a seated position, the more pressure is being placed on the discs in your spine. Make a point to get up and walk around for a few minutes every hour. Our bodies are meant to move, and giving your body a break from sitting all day is essential wellness care. 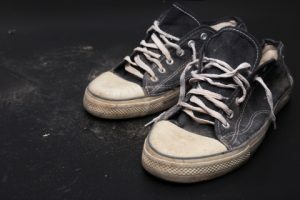 Wearing worn out shoes will add to the back pain you are experiencing. From sneakers to high heels, all varieties of shoes can affect your back when they are worn out. It may seem counterintuitive to visit a podiatrist when you have back pain, but having the right shoe supporting your feet will help prevent back pain from occurring or from becoming worse. People with a high arch might feel better in a high heel, and someone with a flat food might feel better with a flat shoe. All mattress commercials will probably promise a night free from back pain, but it may have less to do with the firmness or softness of the mattress and more to do with the newness of the mattress. It is recommended that a medium firmness is best for your back, but also notice if there is a dip in an older mattress. If you find that you are sinking into one spot in the mattress, consider replacing it, or at least rotate the mattress. If you want to reduce back pain, a visit to our practitioners is the best place to start. At Divine Spine, we can discuss your lifestyle habits and provide a strategy on how to reduce back pain, and not just the pain, but the source of the pain. The above back pain causes are common, but there are other sources of pain such as smoking, an unsupportive bra, or a heavy shoulder bag. When you visit our practitioners, you can finally have hope for a pain-free back. Call us today to schedule an appointment.